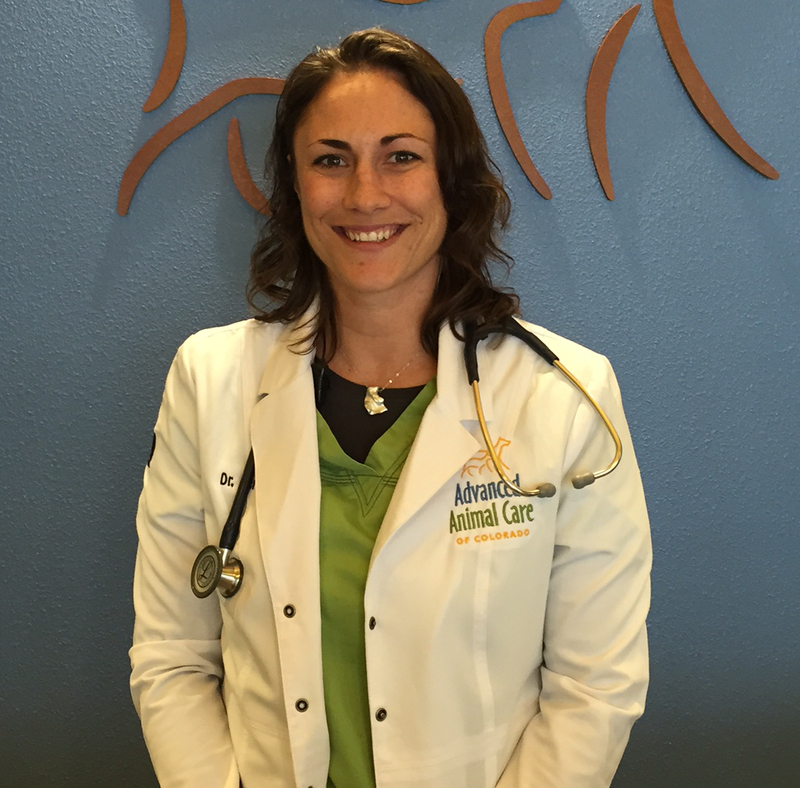 Dr. Deramus is a Colorado native, born in Denver and raised at the foot of Pikes Peak, in Cascade, Colorado. As a child, she spent the majority of her time running around the mountains and collecting a menagerie of animals. She received her undergraduate degree from Colorado State University in Wildlife Biology and spent time working as a field biologist for the Forest Service and USGS in Colorado, Wyoming, and Idaho and the University of Bern in Switzerland. She has also completed an apprenticeship in organic farming through the University of Missouri and Kansas State University and worked on an organic farm for two years. Dr. Deramus was a veterinary technician for several years prior to starting veterinary school. She obtained certification in acupuncture through the Medical Acupuncture for Veterinarians at CSU in her last year of veterinary school and is currently working toward her certification in canine rehabilitation and pain management through the University of Tennessee’s CCRP program. She maintains active memberships in the AVMA, AAHA, and CVMA. She currently resides in Fort Collins, is married, and has one daughter who is in high school. Her current animals include a Mexican street dog named Tope Roo, a reservation dog named Monkey, a specially wonky kitty named Wally, and a Mini Rex rabbit named Jingles. Her hobbies include gardening, snowboarding, hiking, reading, and enjoying good beer.